Korean skincare and beauty standards are taking the world by storm – everyone is just obsessed with how natural and radiant their skin looks. The (not-so-secret) secret is that they value skincare over makeup – common sense, isn’t it? But there are plenty of articles out there on the topic that it can be confusing to pinpoint what exactly are the essential steps and which are optional that will suit your budget and time. Having pored through dozens of skincare articles, we’ve rounded up 8 tips found in a standard Korean skincare routine. Your face is a work of art and the best art deserves the best canvas. With pollutants in the air and just about everywhere we go, double cleansing makes a whole lot of sense. Start by removing traces of makeup and dirt build-up from the day by applying our PlantObsessed™ Nourishing Cleansing Oil directly to dry skin and massage thoroughly over face and eyes. Then simply rinse with warm water. Clean with a water-based cleanser to “flush” away the oil residue from pre-cleanse. Start by cleansing the T-zone (forehead and nose area), followed by the U-zone (cheeks). This is because our T-zone is more of an oil magnet than our U-zone, which tends to be drier and by cleansing the latter last, you’re making sure that the drier area is not exposed to the cleanser for more than it needs to. If you have oily, blemish-prone skin, we recommend using our Purifying Foam Cleanser or if you have dry or sensitive skin, try the Moisturizing Gentle Cleansing Foam. With these velvety foam cleansers, your face will be in good hands, literally! Exfoliation helps to remove dead skin cells and excess oil on the skin so concentrate (with gentle pressure) on the T-zone, followed by your cheeks. If you have non-sensitive skin, use it 3x a week and if your skin is sensitive, 2x a week is fine. After multiple cleanses, your skin naturally will be in a fragile state. Try our PlantObsessed™ Replenishing Toner that will help neutralise your skin and prep it to absorb the subsequent products well. This includes balancing the pH and moisture levels of your skin, as well as remove any remote impurities that the steps before might have missed – what a hard worker it is! Touted as the heart of the skincare routine, treatment lotions and essences nourish your skin and help to achieve the desired look at the end. Want the moisturised or dewy look, a brighter complexion or that youthful bounce? That is the treatment lotion of the quest for the perfect skincare for you, by you. 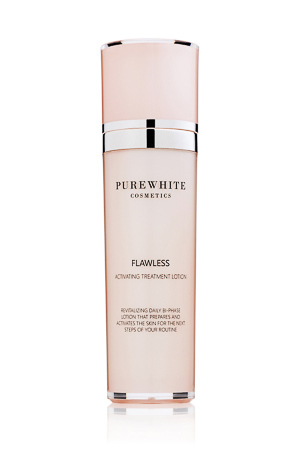 No intro needed – our Flawless Activating Treatment Lotion is a bestseller with Hyaluronic Acid as key active ingredient. Gently pat the lightweight liquid on your face and neck with your fingertips. Use daily, morning and night after cleansing and toning and before your serum and moisturizer. As the “window holder” to your soul, the area around your eyes lives up to its name by being the thinnest, most delicate part of your face. It has no sebaceous glands to produce natural oils, so we must MUST keep this area moisturised around the clock. 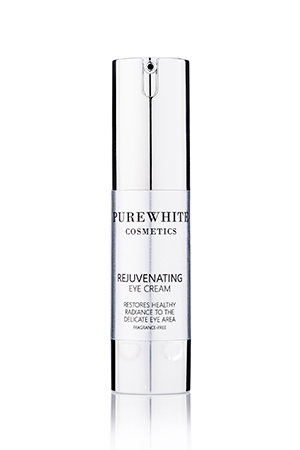 Smooth our Rejuveanting Eye Cream across both the brow and socket bone moving from the inner to outer corner of the eye in a continuous gentle motion. Apply using the pad of your ring finger, as it provides just the right amount of pressure to be effective yet gentle. There’s (day) moisturizer and there is (night) moisturizer. Your skin will thank you for being fed the right thing at the right time. During the day, apply the lightweight Softening Daily Moisturiser that blends easily into your skin without leaving it feeling greasy – and remember your neck when blending into your face. During night time, use the Overnight Nourishing Repair Cream that allows your skin to lock in moisture as it aids in your skin’s repair when you sleep so you wake up looking fresh and ready to take on the world. Congrats if you’re still holding your breath – we have finally arrived at the last (and dare we say, final) step! Protecting your skin on a daily basis from UV rays should help loads in avoiding premature aging and the development of wrinkles and dark spots. UV exposure is everywhere – from lightbulbs indoors to the hard-to-miss rays of the sun. It’ll be a massive shame if you were to undo your hardwork from previous steps. And there you have it! 8 steps, 1 face, tons of time saved and watch the compliments roll in.